Tell Congress: Leave Our Retirement Alone! 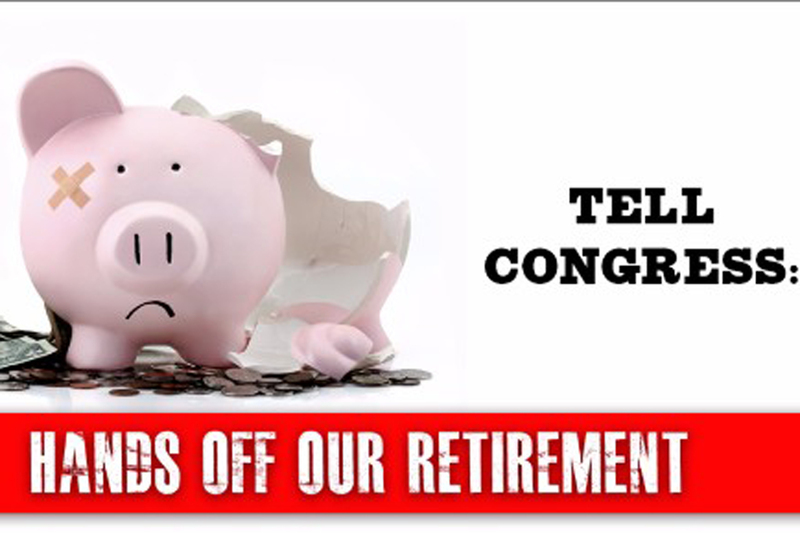 Sign our petition to tell Congress: Leave Our Retirement Alone! Last year, I supported landmark legislation to expand retirement security to the more than 600,000 private sector workers in this state who do not have a retirement plan available through their employer. The program, supported by small businesses, working families, and seniors, is just about to roll out...and Republicans in Congress are looking to block it. Congressional Republicans are seeking to pass a law blocking regulations put into effect by the federal Department of Labor that allowed for Connecticut’s historic program. I am committed to making sure that if you work hard, you have the resources after a lifetime of work to retire. Do not wait. Sign our petition today!